ASTANA, Kazakhstan -- It was a snowy onset of winter in October 1937. The order came from Joseph Stalin to deport ethnic Koreans from Russia’s Far East to the barren steppes of Central Asia. Running out of time to gather their belongings, the Koreans picked up what little they could -- mostly vital rice seeds secured inside their pillows. The “Koryo-saram,” as they have been called, took with them the seeds of hope for their unknowable future. Many elderly and sick died on the trains used to carry livestock, as they were abrasively hauled across the Eurasian hinterland. They had scarce clothing, water and food, at temperatures chilling to the core. Some 100,000 -- half the number of Koryo-saram that lived in the Russian Far East -- arrived at the railway station in the rural town of Ushtobe in southern Kazakhstan in 1937. 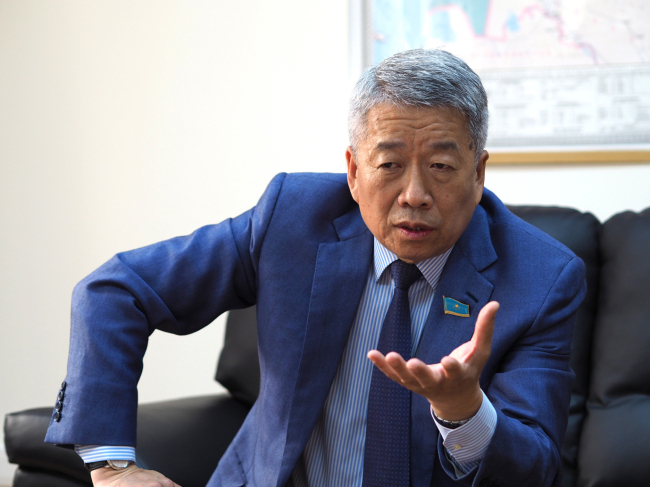 The story of the frontier settlers was preserved and passed on to Roman Kim, deputy of the Mazhilis Lower House of the Kazakhstani Parliament. Kim formulates legislation on agriculture, forestry, fishery and public-private partnership. 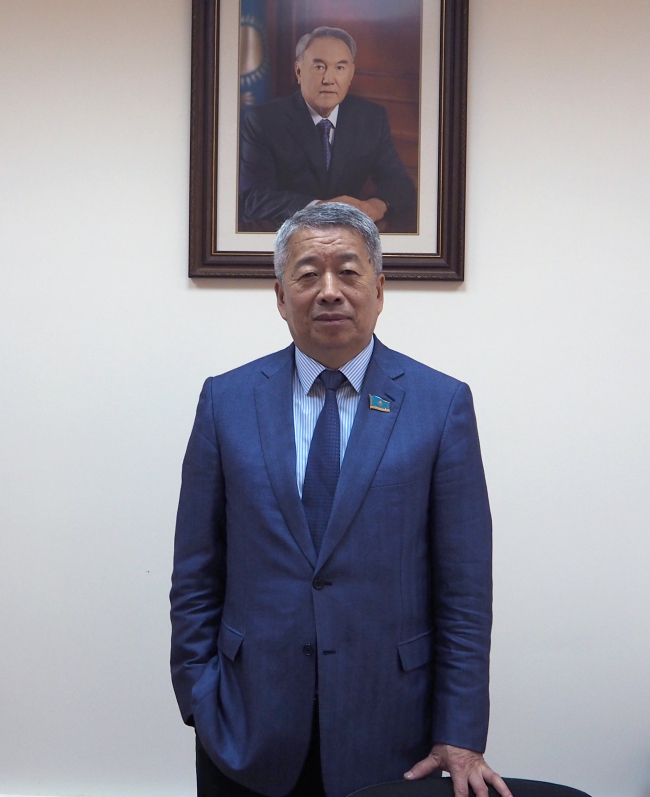 He is also the president of the Association of Koreans in Kazakhstan, a nationwide nongovernmental organization that deals with issues of cultural and interethnic relations and implements business projects through national and global partnerships. 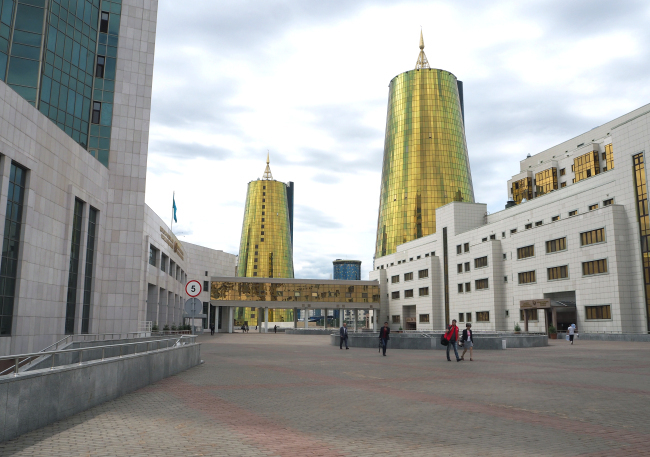 After Kazakhstan gained independence from the Soviet Union in 1991, national movements sprouted across post-communist countries, with diverse ethnic groups asserting their indigenous cultures, traditions and languages, the 62-year-old man said. The Korean association quickly became one of the most active, vibrant and successful organizations in the country, deliberating on national issues and implementing international projects through the Assembly of the People of Kazakhstan. Stressing the Koryo-saram have never forgotten their “unpayable debt,” Kim underscored that Kazakhstan -- where more than 130 nationalities coexist -- is united by a “common history” of people that have undauntedly surmounted their challenges. During the times of communism, the lawmaker said, the Koyro-saram burnished their educational credentials to ascend the social ladder and reach greater professional heights. They made flowering achievements in various fields, encompassing the public service, agriculture, law enforcement, medicine, education, science and technology as well as the arts and culture. With the market economy unleashed since the early 1990s, Koreans have sowed their entrepreneurial seedbeds in finance, manufacturing and a whole array of other areas. “The Koreans have been identified here with dedication, honesty, quality and success,” Kim said, highlighting they form an integral pillar of the country’s multinational society. While acknowledging that most ethnic Koreans across Central Asia have forgotten their mother language, Kim said it was due to their struggle to survive under the Stalinist system, where Russian proficiency was crucial. Unlike other Korean diasporas that voluntarily emigrated abroad, Koryo-saram were forced to leave their motherland in the late 19th century to escape persecution by Japanese colonialists. Following the fall of the Iron Curtain, many Koryo-saram in other Central Asia countries started emigrating elsewhere in search of a better life, but those in Kazakhstan stayed. Roughly 100,000 live in the country today -- mostly fifth- and sixth-generation descendants. 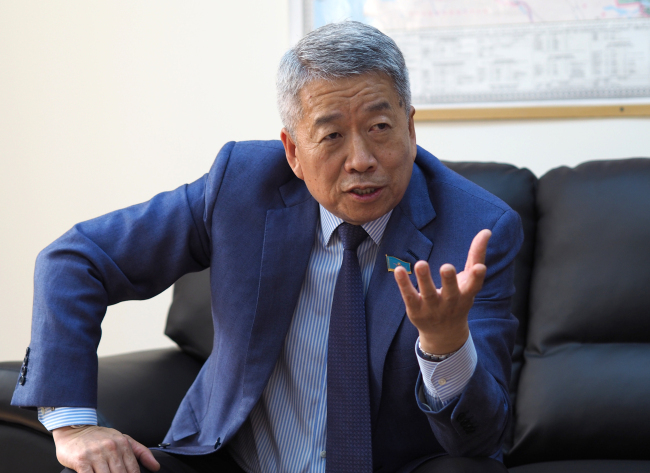 Korean companies with advanced technologies and innovative capacities can invest in the largely untapped Kazakhstani market, the politician said, also recommending joint ventures with local firms. For Kim, history has come full circle, with his expertise being agricultural legislation. 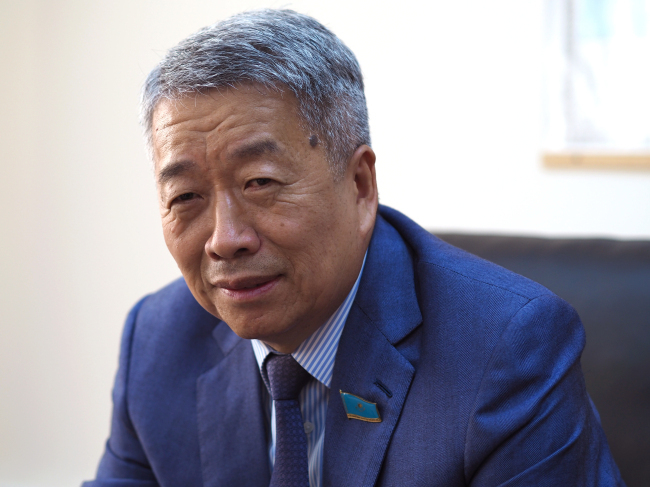 He touted the sector as one of Kazakhstan’s priority industries for development. Kazakhstan is the world’s ninth-largest country by mass, with 22 million hectares of land available for agriculture. It belongs to the free-trading Eurasian Economic Union and is located next to growing Central Asian economies as well as between the vast markets of Russia and China. “Adopting smart technologies and automation in the agricultural production is vital,” Kim expounded, citing the shortage of labor in Kazakhstan with only 18 million people. The Korean government, working with the Korean association, provided greenhouses for growing crops in the past, but people didn’t know how to make use of them in the absence of technology and training, he said. The Korean association will organize a Kazakhstani-Korean business forum in July as part of the Astana International Expo on the theme of future energy. The event will serve as a platform for scoping out opportunities in both countries and ways to strengthen business cooperation. Touching on inter-Korean affairs, Kim said the Korean Peninsula’s division and instability are a concern of the whole world. Korean Kazakhstanis mostly came from North Korea, but harbor no attachment to the communist nation, he contended. Kim has two children and four grandchildren. His wife is Koryo-saram, a descendant of independence fighter Min Geung-ho, who fought against colonial Japanese in the early 20th century and was bestowed posthumously with a National Medal of Honor in 1962. Ed. -- Kazakhstani diplomat Aigerim Seisembayeva contributed to this article through translation and interpretation from Russian.